GEORG JENSEN Cocktail Pestle Designed by Helle Damkjær Polished Stainless Steel Designed by Helle Damkjær for Georg Jensen. Elegance par excellence in the shape of exclusive products, created in a sensual and organic design language. Helle Damkjær´s natural feel for tone setting aesthetics has already resulted in several successful collaborations with luxury brands in New York, Tokyo, Paris and Copenhagen. Materials: Polish stainless steel / plastic This product is not dishwasher safe. 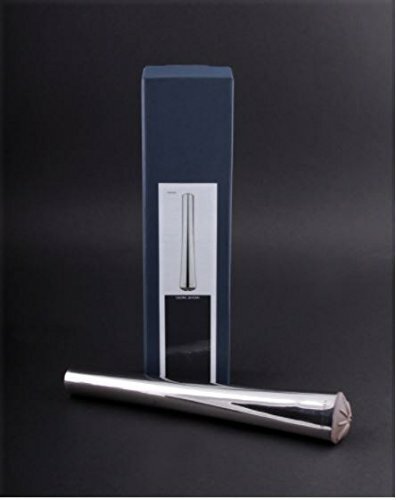 Measurements: Diameter: 3,6 cm / 1.4" Width: 3,6 cm / 1.4" Height: 21 cm / 8.3" Collection: Cocktail Design year: 2008 THE COCKTAIL PESTLE IS BRAND NEW IN BOX. Marked with: GEORG JENSEN DENMARK GJ item number: 3586649 Delivered in the original GEORG JENSEN gift box.